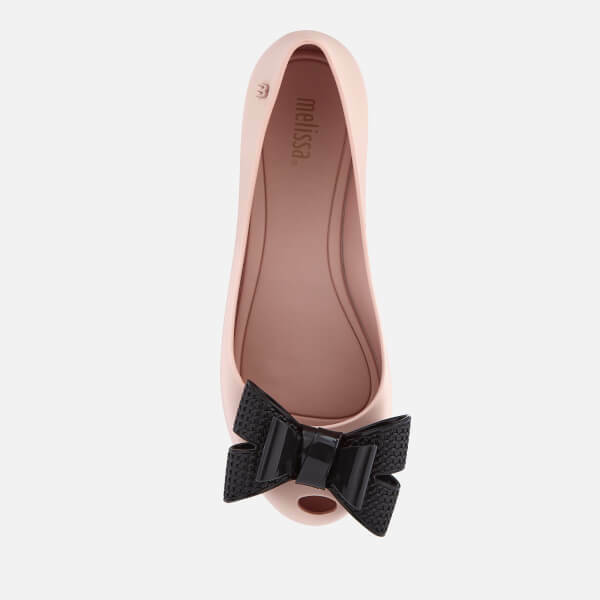 Women's ballet flats from Melissa. 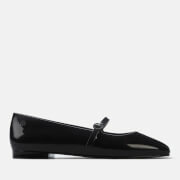 Crafted from flexible Melflex plastic with a matte finish and signature scent, the 'Ultragirl Rattan' shoes have a rounded toe with subtle peep toe detail and 3D bow in black. The pumps are finished with a slight heel and 'M' detail to the outside heel.